In Nothing Less than Literal: Architecture after Minimalism, author Mark Linder argues that the minimalist art tradition of the 1960s was largely informed by architectural qualities, concepts, and techniques of representation. The “literal” artworks produced by artists like Robert Smithson borrowed heavily from architectural materials and typologies and resulted in monumental creations that often resembled livable built structures. But this exchange was reciprocal, and many well-known architects also engaged in the legacy of “literalism” stemming from this artistic movement (see, for example, Frank Gehry’s lifelong obsession with the figure of the fish). The recently realized Tchoban Foundation Museum for Architectural Drawing, in the Pfefferberg complex near Senefelderplatz, has an unmistakeable connection to this signature movement. 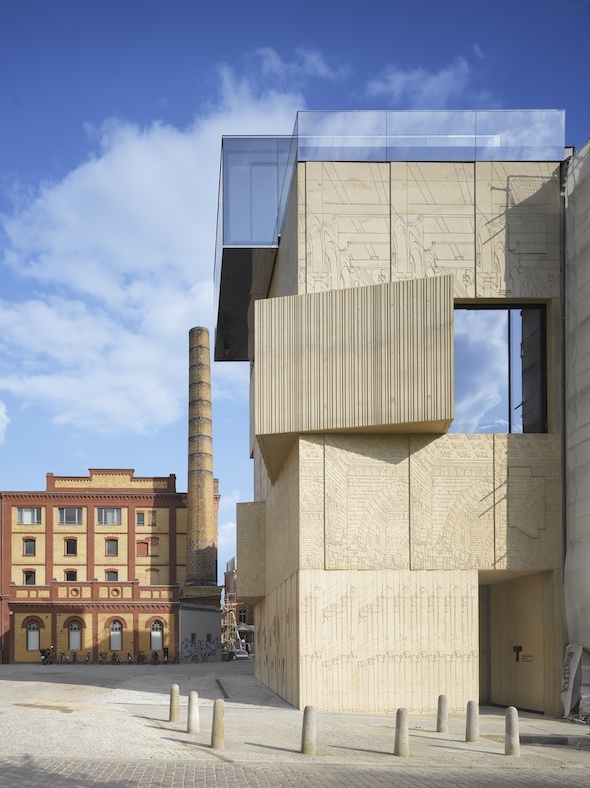 Russian architects Sergei Tchoban and Sergey Kuznetsov (SPEECH Tchoban & Kuznetsov, Moscow) designed the new Berlin museum of architectural drawing to reflect its contents. Right down to the details of the doorhandles – made to resemble stacks of drawing paper – the traits of the building mirror its function. 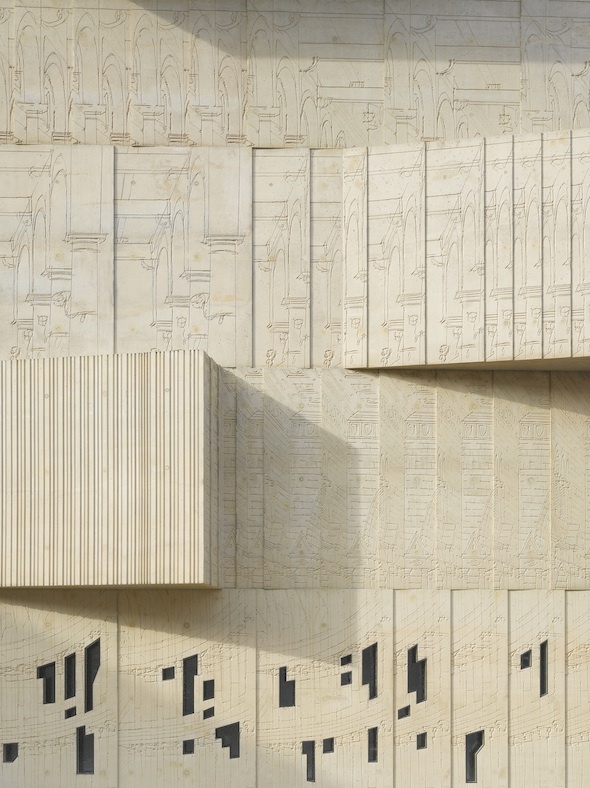 The concrete facade was created using a moulding technique that etched a series of architectural drawings into the building. The drawings replicated on the facade are detailed fragments of sketches by two late 18th century Italian artists, Angelo Toselli and Pietro di Gottardo Gonzaga. Frosted, puzzle piece windows dot the lower section of the building and the rooftop is adorned with a glass box that serves as a meeting place for Tchoban and his associates. 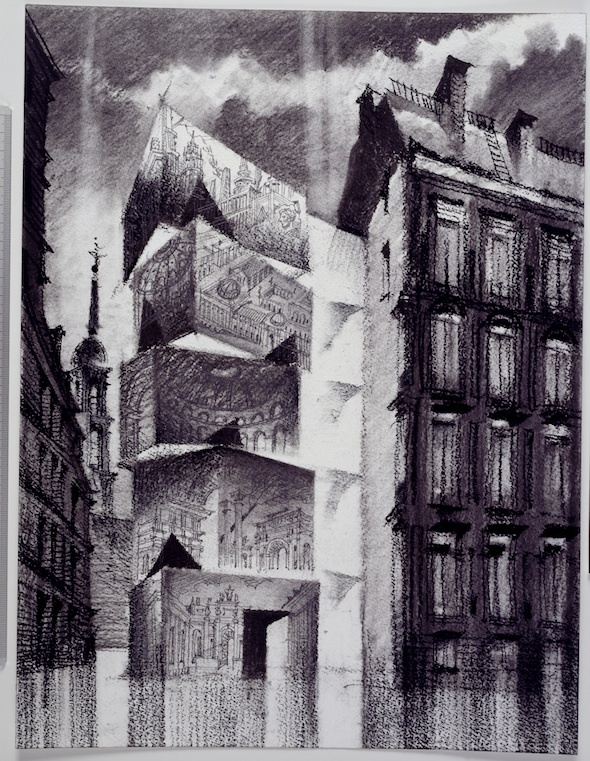 Architect Sergei Tchoban, collector of historical architectural drawings and accomplished draftsman himself, established the foundation in 2009 to display his collection and to reinvigorate the practice of architectural drawing amongst young students, for many of whom the skill has become a lost art. 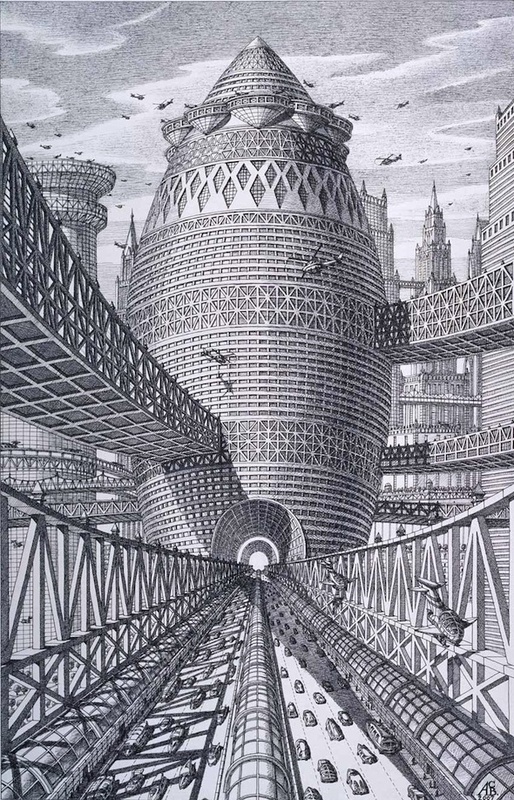 The holdings of the museum are varied but a large part of the collection focusses on Soviet architects like Alexander Brodsky, alongside similar futuristic, sci-fi depictions of utopian cityscapes that were never created (known as the tradition of “visionary architecture”). Others, like Japanese collective Atelier Bow Wow‘s intricate and densely populated, cartoonish neighbourhoods, offer an exciting view into the process behind their realized projects. 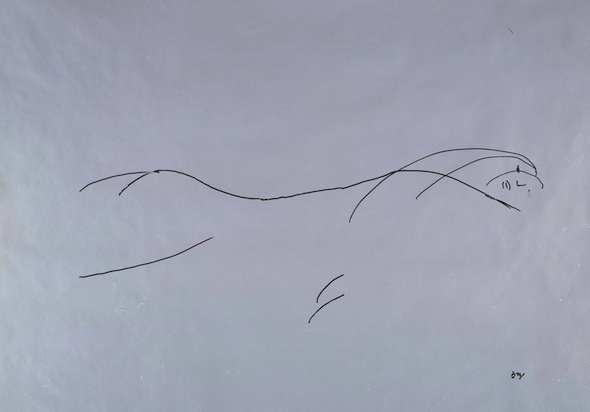 Complementing these more tangible sketches, the museum also shows the half-mad scrawlings of Álvaro Siza (now also on display at neighbouring Aedes) and abstract, feminine landscapes of Oscar Niemeyer. Both inside and out, the new Museum for Architectural Drawing reconnects architecture with its roots as a visual language and art form. Blog entry by Alison Hugill in Berlin; Thursday, May. 8, 2014.